Asian shares rose on Tuesday, shrugging off modest losses on Wall Street, while expectations of another U.S. interest rate increase this year continued to underpin the dollar. Russian Foreign Minister Sergei Lavrov told U.S. Secretary of State Rex Tillerson in a phone call on Monday that an escalation of tensions on the Korean peninsula is unacceptable. Russia and China both called for restraint on North Korea on Monday after U.S. President Donald Trump warned over the weekend that “only one thing will work” in dealing with Pyongyang, hinting that military action was on his mind. The perceived safe-haven yen typically rises when investors try to reduce their risk exposure because the currency is often used as a funding source to buy riskier, higher-yielding assets. Japan is also the world’s largest net creditor nation, and at times of uncertainty, traders assume Japanese investors’ repatriation from foreign countries will outweigh foreign investors’ selling of Japanese assets. The euro added 0.3 percent to $1.1773, after it got a lift on Monday from data showing German industrial output notched its biggest monthly increase in more than six years in August. Also helping the euro were comments from a European Central Bank Executive Board member, who called for the central bank to reduce its asset purchases next year. The ECB is due to decide on Oct. 26 whether to continue its bond buying in 2018. The dollar was little changed against the yen on Tuesday, with the market wary of potential North Korean provocations, while the euro extended gains following upbeat German data and hawkish-sounding comments from a European Central Bank official. The dollar was hit late last week by a report that North Korea was preparing a long-range missile test. There were concerns that Pyongyang could mark the days leading to Tuesday, when it celebrates the founding of its ruling party, with some sort of provocation. The euro advanced following data showing German industrial output notched its biggest monthly increase in more than six years in August. A call from Sabine Lautenschlaeger, a member of the European Central Bank executive board, for the ECB to roll back asset purchases in 2018 also lifted the common currency. The New Zealand dollar was up 0.1 percent at $0.7069 to put a bit of distance between a four-month trough of $0.7052 touched the previous day after a final vote count in the country’s tight general election failed to identify a clear winner. Offshore Chinese yuan surged and touched 6.5790 per dollar, its strongest in more than two-weeks, after the central bank set a firmer-than-expected official fix on Tuesday. The move suggests that the authorities are trying to stabilize the currency ahead of next week’s key national leadership meeting. The pound nudged up 0.1 percent to $1.3157, having bounced overnight from a one-month low of $1.3027 as news of rising labor costs hardened expectations of higher interest rates, and after Prime Minister Theresa May vowed to ward off challenges to her leadership. Oil prices were steady on Tuesday as OPEC said there were clear signs the market was rebalancing and as U.S. production remained offline following Hurricane Nate. Traders said prices were supported as the OPEC said oil markets were rebalancing fast after years of oversupply. OPEC has led an effort to cut output to end years of overproduction that created a huge supply overhang. Tighter market conditions are reflected in the shape of the Brent crude forward curve, which has flipped from contango - when future deliveries are priced higher than those for immediate sale - into backwardation, when it is more profitable to sell oil promptly than storing it for sale later. The OPEC-led production cuts started in January and are set to expire at the end of March 2018. There have been talks about extending the curbs, but no formal agreement has been reached. JP Morgan said that previous "concerns that OPEC compliance would fade into the fourth quarter now appear unfounded", and that "stronger than assumed economic growth offers the potential for tight market conditions to continue if OPEC extends the current deal for another nine months". The bank also said political disputes between the United States and Iran could drive oil prices higher. Short-term price support was also coming from the United States, where 85 percent of U.S. Gulf of Mexico oil production, or 1.49 million barrels a day, was offline following Hurricane Nate, according to the U.S. Department of the Interior's Bureau of Safety and Environmental Enforcement late on Monday. Oil companies evacuated staff from Gulf platforms and curtailed output ahead of the storm, which hit the region last weekend. Traders said they did not expect the disruptions to last long. OPEC's Secretary General Mohammed Barkindo on Tuesday called on U.S. shale oil producers to help curtail global oil supply, warning extraordinary measures might be needed next year to sustain the rebalanced market in the medium to long term. The Organization of the Petroleum Exporting Countries official's comments came during a speech delivered at a conference. Gold on Monday made its intraday high of US$1282.12/oz and low of US$1275.17/oz. Gold was up by 0.615% at US$1283.84/oz. Silver on Monday made its intraday high of US$16.97/oz and low of US$16.75/oz. Silver settled down by 1.134% at US$16.94/oz. Crude Oil on Monday made an intra‐day high of US$49.77/bbl, intraday low of US$49.11/bbl and settled up by 0.609% to close at US$49.55/bbl. EUR/USD on Monday made an intraday low of US$1.7188/EUR, high of US$1.1755/EUR and settled the day up by 0.127% to close at US$1.1739/EUR. GBP/USD on Monday made an intra‐day low of US$1.3074/GBP, high of US$1.3182/GBP and settled the day by up by 0.366% to close at US$1.3139/GBP. Based on the charts and explanations above; short positions below 1.3200-1.3360 with targets at 1.3150-1.3100-1.3020 and 1.2935-1.2840. 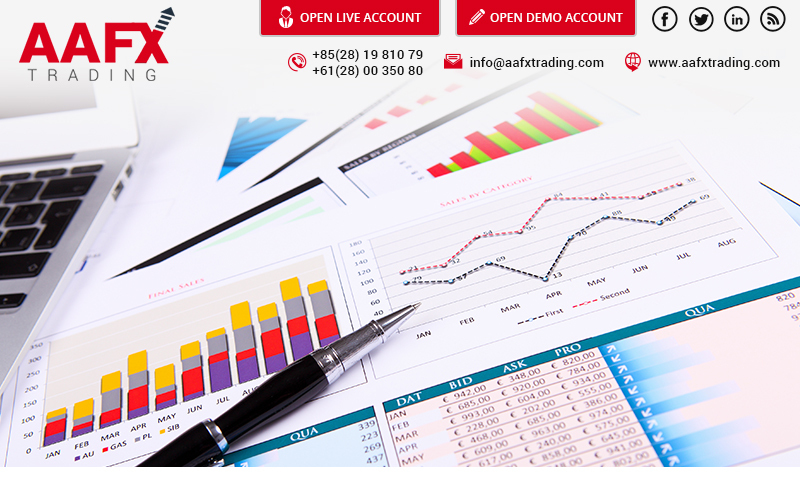 Buy above 1.3150-1.2840 with stop loss closing below 1.2800 targeting 1.3200-1.3260 and 1.3300-1.3360. USD/JPY on Monday made intra‐day low of JPY112.32/USD and made an intraday high of JPY113.73/USD and settled the day up by 0.079% at JPY112.67/USD.